Following a visit organized by Committee 4 in September 2011 to the contaminated territories of Belarus, a small group made up of Committee 4 and Main Commission members and the NGO "Radiation Safety Forum Japan" took the initiative* in the fall of 2011 to organize a forum for dialogue with all concerned parties in the Fukushima Prefecture to identify the problems and the challenges** of the rehabilitation of living conditions in the long-term contaminated territories. The First Dialogue Meeting took place at the Fukushima Prefectural Council Hall on 26 and 27 November 2011, fostered a useful discussion among stakeholders on the situation in the affected areas and on their concerns. The Third Dialogue Meeting was held on 7 and 8 July 2012 at the Silk Hall, Date City Centre, and focused primarily on experiences related to the complex problem of contaminated foodstuff. The Fourth Dialogue was held on 10 and 11 November 2012 at the Silk Hall, Date City Centre, and focused on the education of children using the knowledge on the radiological situations gained through the first three Dialogues. The Fifth Dialogue was held on 2 and 3 March 2013 at the Date City Hobara Citizen’s Center Hall, and dealt with the delicate issue of “returning or not, staying or not” in the affected areas. The Sixth Dialogue was held on 6 and 7 July 2013 at Fukushima City Health and Welfare Center, and discussed the present situation and the challenges being faced by the citizens of Iitate, who have evacuated and were cut off from their own land, and living in exile for more than two years since April 22nd, 2011. The Seventh Dialogue was held on 30 November and 1 December 2013 at Higashi Nippon International University in Iwaki City, focused on self-help actions taken by local people in cooperation with experts. The Eighth Dialogue Meeting held on 11-12 May 2014 at Minanisoma City Yumehat was devoted to the challenges that faced the City of Minamisoma that has undergone the triple disaster of the earthquake, the tsunami and the nuclear accident. The participants discussed how to overcome the fragmentation of the community due to the division of the city into 5 different zones and its isolation from the rest of the country and how to reconstruct a shared vision of the future. 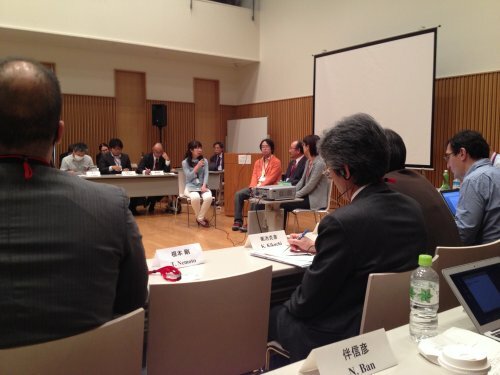 The Nineth Dialogue Meeting held on 30-31 August 2014 in Date City was devoted to all questions related to raising children in Fukushima Prefecture after the nuclear accident. Presentations stressed the importance for children to find places to express their feelings and exchange experiences and also to teach them how to behave in a contaminated environment. 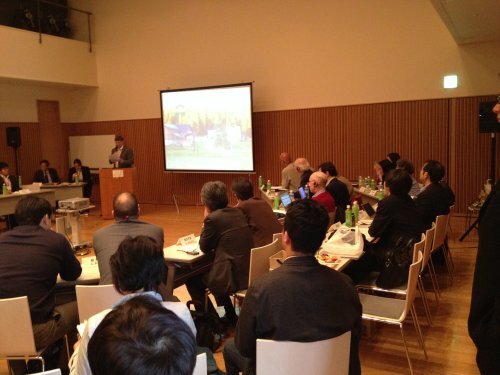 The Tenth Dialogue Meeting was held on 6-7 December 2014 at the Date City Silk Hall with the theme of “the Value of Tradition and Culture in Fukushima”. Despite profound disturbance of family and social ties, the ancestral values underpinning the cultural life of Fukushima are still present and maintain a link between those who stay as those who left the Prefecture. Sharing the values that constitute this cultural heritage is important because it is a bulwark against the creeping disintegration of society caused by the presence of radioactivity, and it is also the source of inspiration and creativity for building the future of Fukushima. 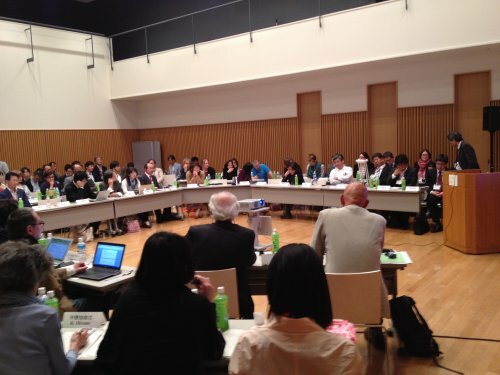 The Eleventh Dialogue Meeting was held on 30-31 May 2015 at the Sugitsuma Hall, Fukushima city with the theme of “The Role of Measurements in Regaining Control”. The focus was placed on the role of measurements in regaining control on the situation resulting from the accident. Presentations and discussions highlighted their importance to help individuals, families and communities to progressively understand the radiological situation and take informed decisions about their daily life and their future. The Twelfth Dialogue Meeting was held on 12-13 September 2015 at the Date City Silk Hall with the theme of “Experience We have gained Together”. The meeting aimed to review the path and steps of people within and outside of Fukushima Prefecture during the four and a half years after the disaster. For this meeting, participants of previous dialogue meetings were invited to talk about their past, present, and future. This was the story of the paths taken by people overcoming the challenges they faced after the unprecedented disaster, and an opportunity to share their present situation and hope for the future. * In cooperation with Fukushima Prefecture, Date City, Iitate Village, Radiation Safety Forum/Japan, Ethos in Fukushima, Fukushima Medical University, Belarusian Branch of Russian-Belarusian Information Centre on the Problems of the Consequences of the Catastrophe at Chernobyl NPP, Committee of Radiation Protection and Public Health/OECD-NEA, Institute of Radiation Protection and Nuclear Safety/France, Norwegian Radiation Protection Authority/Norway, and Nuclear Safety Authority/France. ** The presentation materials, conclusions and recommendations are the views of the participants of each dialogue seminar, and thus do not necessarily reflect the views of ICRP or any other organisation.